So, great news! We sign closing documents on MONDAY!!!!! Which means, we are moving NEXT WEEK! I'll have each tupperware container set with some moss, a hide, and about an inch of substrate with some crushed oyster shells on top. The drive to the new house is only about 10 minutes, so i'll have the boys load the tank and stuff, i'll bring the crabs with me in the car. Once at the new house, i'll set their tote tank up immediately. I'll add the 1 E thats been up for a while. what should i use for a heat source? i saw reptilebasics has the heat packs for shipping, but is that enough for their iso totes? they only have up to 72 hour ones, so i'll be changing them roughly every 3 days. how long will i keep them in iso? My goal is to move them quickly and with the least amount of stress as possible, no matter what that takes. i don't want to lose any molters. Also, where do y'all buy moss locally? My go to is currently busy BUSY raising Zoeae, so I can't order any. Petco/PetSmart? Has anyone tried the organic kind at home Depot? I get mine at a local pet store but PetCo and PetSmart have the same kind, I think it’s ZooMed. RiNiKy506 wrote: I get mine at a local pet store but PetCo and PetSmart have the same kind, I think it’s ZooMed. Now all the excitement is over of buying a new house and the fun part begins... packing! I’m feeling for you! Sending good luck and peaceful vibes. 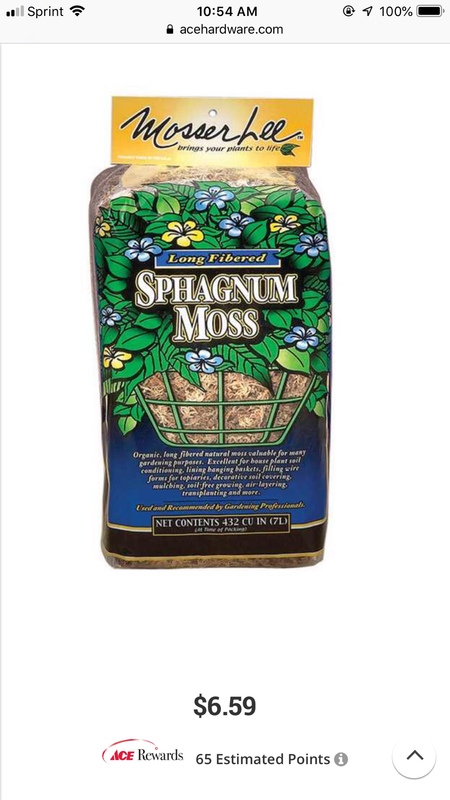 You can buy sphagnum moss at almost any hardware store, you just want to make sure it doesn’t say “peat” on it.